Heat oven to 400°F. 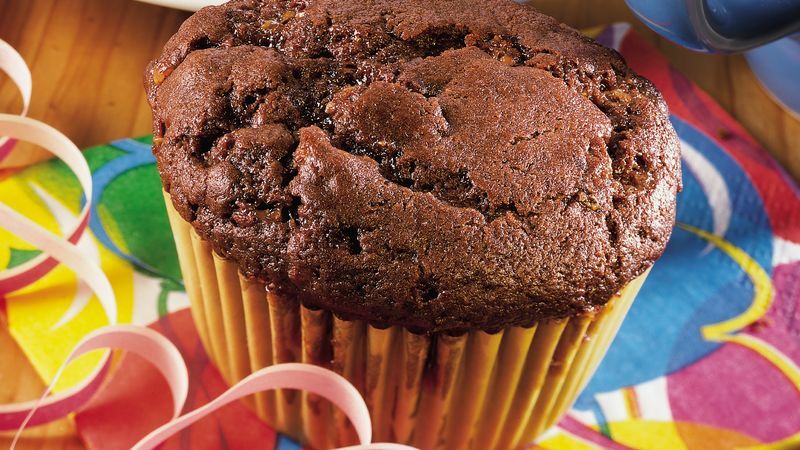 Line 14 muffin cups with paper baking cups. In large bowl, combine quick bread mix, contents of nut packet, cocoa and coffee granules; mix well. Stir in toffee bits and chocolate chips. Add buttermilk, oil and eggs; stir just until dry particles are moistened. Divide batter evenly into lined muffin cups. Bake at 400°F. for 19 to 23 minutes or until toothpick inserted in center comes out clean. Cool 5 minutes. Remove muffins from pan. Serve warm or cool. * To substitute for buttermilk, use 1 tablespoon vinegar or lemon juice plus milk to make 1 cup.